[Update August 13th, 2018] Something New! For The Love Of Film is a separate mini-site I put together for this post. It is easier to read and follow, and has all of the updated information. The one thing it doesn’t have is the comment section – this post will still stay active for people who want to connect. [Update April 27th, 2014] Rough Profiler 1.7 now runs on Mac OS 10.9. I’ve tested it and it seems to work great. Thanks Howard for sending me the tip. [Update May 8th, 2014] Another tip from Howard that I’ve been testing. He read through Agryll CMS SCANIN document and discovered when scanning in “RAW” gamma 1.0 should be used instead of gamma 2.2. 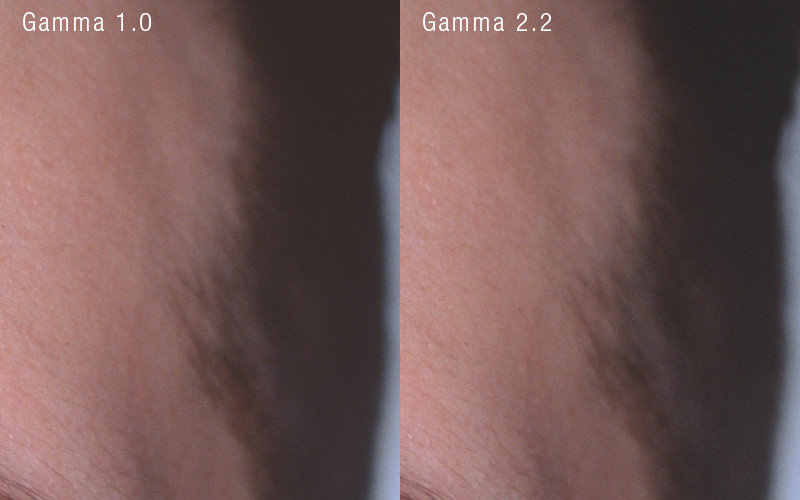 The difference is subtle, but gamma 1.0 does provide a small amount of extra colours in the shadows. More colours are definitely great to have. If you are archiving your film and want to get the most out of your scans gamma 1.0 is the better choice. The colour shift is small, and would probably only be noticeable in large prints. [Update October 16th, 2014] I’ve added an extra step after assigning a profile: converting the working colorspace to AdobeRGB or ProRGB. 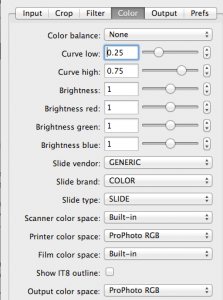 This will provide a proper working colorspace for editing your scan. It also decompresses the shadow detail. Thanks so much to James for discovering this. He also has a few more great tips in his comment below; like using a lower dpi scan, and that manually exposing your film target may not actually increase the accuracy of the profile. Great stuff! This is a follow up to a post that I wrote over a year ago about how to properly what I thought was properly profile your scanner with Vuescan, Vuescan: how to profile your scanner/film. After much discussion in the comments I realized that my process of profiling and scanning was completely wrong, and most of what I wrote in my post was useless. But the thing about great discussions, are great solutions. I feel we found the best way to profile and scan film in Vuescan. I want to give a special shout-out to Martin Jericho who really was the catalyst in creating this process. Achieving good scans with just Vuescan is not an easy thing to accomplish. Vuescan is one of the most powerful scanning softwares available today. And with the resurgence of film, programs like Vuescan play a very important part in creating digital files for todays industry. If you’ve arrived here frustrated after hours and hours of trying to get a good scan from Vuescan, or trying to colour-match your slides to your scans to no-avail, you are not alone. Everyone who has collaborated to create this profiling and scanning process has been in your shoes. Right off the bat, there are two things you should know about Vuescan. The first is Vuescan does a really lousy job of creating scanner profiles from film targets. Secondly, Vuescan doesn’t like 3rd-party ICC profiles. Which means all that time we spent creating and testing different profiles in Vuescan was a waste of time. This is why every result didn’t look right. This process of creating a proper profile requires some patience. By utilizing Vuescan’s ability to scan raw files and a 3rd-party program to build an ICC profile, creating a profile is fairly simple. Just so you don’t think something has gone wrong or you’ve done a step incorrectly, initial raw scans from Vuescan will appear very underexposed. The explanation for the underexposure is that the proper gamma has not been applied. 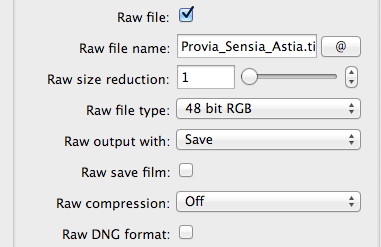 Another important note, this process uses raw-tiff files not raw-DNG files. You will most likely have to perform the steps below a few times before you have created a proper ICC profile. – An ICC profile generating program. If you have a PC, LProf or the beta version of Rough Profiler are available to use. If you have a Mac, Rough Profiler is the program I use. Rough Profiler’s website is in spanish but the program is in english. Rough Profiler 1.7 is compatible with Mac OS 10.5 to OS 10.9. Also, Rough Profiler is only compatible with OS 10.5 and 10.6. It will not work with Lion or Mountain Lion. Unfortunately Rough Profiler is one of the only functional GUI containers for Argyll CMS (the code that actually profiles) for Mac. If you are running Lion or Mountain Lion I suggested creating a virtual machine that runs OS X 10.6. You can create a virtual machine using VirtualBox. A lot of Apple repair shops (not the Apple Store) will have old versions of OS X kicking around if you don’t have the disc buried in a desk drawer. – Create a scan of your IT8 target in Vuescan. If you are using a medium format scanner, try your best to make sure the target is straight on the glass. – Input Tab: Set the input like a normal scan. I don’t scan targets at the max resolution as the files tends to be really big, 2000dpi works fine for me. – Select the target area. If your scanner allows, leave some grey around the target. 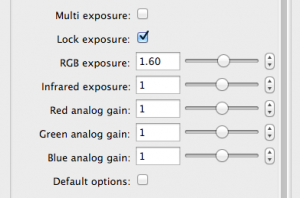 – Exposure Lock: Select Exposure Lock and record the value that is shown. You will need to reference this value if exposure adjustments are made. – Multiple Exposure: This option is not available for all scanners. For profiling do not select this option. – You have now created an ICC profile! – Place your newly created ICC profile into your system so that Photoshop can find it. – Mac OS 10.7+ users: The Library is hidden by default. The quickest way to access it is: Click the Go menu and hold down the Option key, Library will appear. – PC: I am unfortunately not a PC guy, so I do not know the ins-and-outs of installing profiles. The guys at Red River Paper explain how to install profiles for a PC and Mac, How to Install Profiles on your Computer. 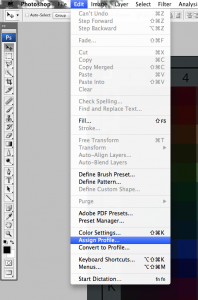 – Open up the Information Palette in Photoshop. – Bring your curser over the first white box on the greyscale chart, box 0. – The RGB values of this box should be around the 240 to 250 zone. You don’t want to any of the values creeping up to 255 (clipped). 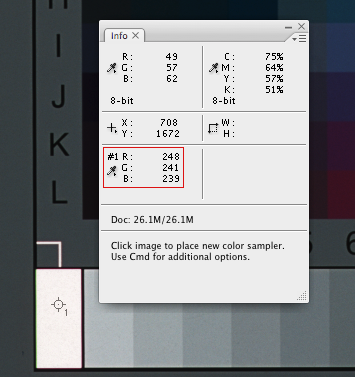 – If your RGB values are not hovering in the 240 to 250 zone, repeat steps 1 through 5. – Adjust the Exposure Lock or RGB Analog Gain values in Vuescan by +/-0.05 depending on your RGB value, and rescan your IT8 target. 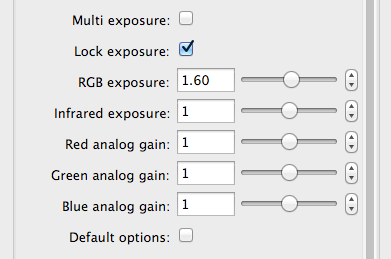 – Once you are satisfied with the RGB values, go back to Vuescan and record the Exposure Lock value. – Use the Exposure Lock value when scanning the particular film you are creating the ICC profile for. – You have now created a proper ICC profile. The profile is embedded in the image’s metadata, you can catalog it in Lightroom or Aperture or any other processing program you like. Just remember, this is a tiff file not a camera raw file – you will not have the same raw editing controls as a digital image. The definition of a raw-tiff scan is Vuescan capturing all of the data that the film has, this is different than a camera sensor capturing light coming through a lens. The DNG file setting in Vuescan utilizes the Adobe DNG file format to create archival files that allow you to reload the image into Vuescan and adjust settings like curves or white balance, this saves you from re-scanning the film. If you do decided to create archival DNG files, I would suggest using 64bit RGBI colour space. 64bit RGBI is 16bit Red, 16bit Green, 16bit Blue, and 16bit Infrared. That’s how you profile and scan with Vuescan. In the end, Vuescan is just used as a power scanning program. 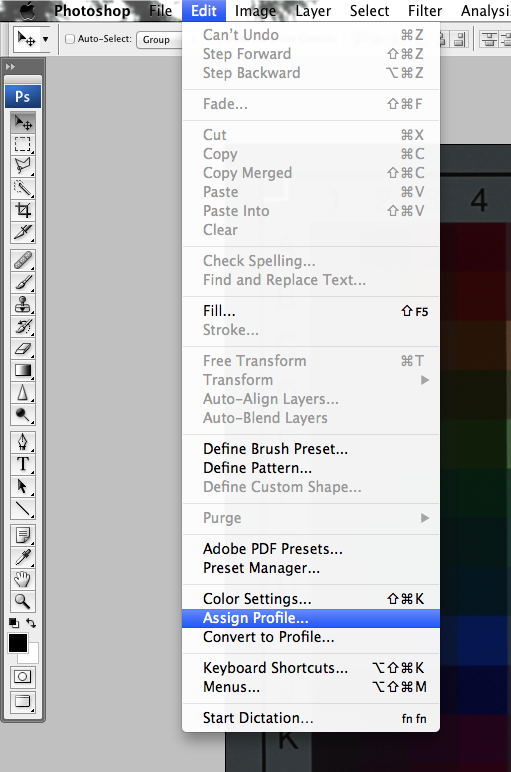 Profiles are created in a 3rd-party ICC profile generating program, and you apply the profile itself in Photoshop. Scanning raw files in Vuescan ensures that you are capturing all of the information the film can provide without having Vuescan applying any of it’s adjustments to it. I find it interesting that no one is sharing scanner ICC profiles online, especially since film is coming back. I understand there are a lot of different scanners out there and even between the same scanners there are differences, but properly created profiles should get you pretty accurate colours. I want to change that. I have created a full set of film-specific scanner ICC profiles for the two scanner that I use; Nikon LS-8000 and Epson 3200. These profiles will only work properly if you have the same scanners. You are free to download them and use them. All I ask is that you pass along this post to a frustrated film photographer who can’t seem to get their scans to match their film so that we all can be happier film shooters. Films include: Fuji Provia 100F, Provia 400X, Velvia 50, Velvia 100/100F, Astia 100/100F, Sensia, Sensia 100, RTP II; Kodak Ektachrome family; Agfa RSX, RSX II, CT Precisa. I did notice one error though. It is actually vitally important to lock the exposure when scanning the IT8 slide and using the same exposure when scanning images that will use that profile. The exposure setting is hardware based and therefore affects the raw file output. If you leave it set to auto then it will likely result in clipping (either highlights or shadows) once the profile is applied to your photos in photoshop. I use a fixed exposure of 1.2 and label the profile with that exposure. This value was determined by scanning the IT8 slide and using the highest possible exposure that does not result in clipping of the white square in the raw file. There is another important thing to note about the lock exposure setting. The first is that when multi-exposure is selected then any decimal portion of manual RGB exposure setting is ignored and the next lowest integer used. This might be a bug in VueScan or a limitation related to my particular scanner, but if you’re confused as to why all your raw scans look the same when locking different exposures then that is probably the cause. I have found that multi-exposure doesn’t improve detail in the shadows significantly anyway, as long as the single exposure is locked at its maximum setting without clipping the highlights of the relevant IT8 slide. – Maybe too obvious to mention but the raw scans must be 48-bit. If not the images will lose far too much detail in the shadows. 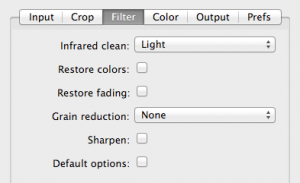 – Your screenshot includes grain reduction in the Filter tab. I would recommend doing grain reduction in photoshop as a post-processing task rather than applying it to the raw image, as you normally want your raw image to be as raw as possible. Applying the infrared clean is different because photoshop doesn’t yet have an effective dust/scratch removal facility that can make use of a separate infrared channel, so that should definitely be applied in VueScan. – Although you’ve specified settings for the color tab, all of these are ignored in raw scans. Some settings do however affect the preview image so might be useful. – The gamma setting in Rough Profiler doesn’t actually affect the profile, it is only used for the generation of the diag.tiff reference file. At least that’s what the documentation says, I’ve found it does make a slight difference to the profile but nothing significant. – After applying the profile to a photo in photoshop, I save the raw file in JPEG 2000 format as an archive with the scanner/film profile embedded into it. JPEG 2000 is a very underrated file format that provides excellent compression of 16-bit per channel images. I use lossy quality 50 compression which is still almost free of perceptible compression artefacts while keeping the file size very small. – After saving the archive raw file, it is important to convert the image to a working profile before doing any other post processing (note the difference between applying the scanner/film profile, which keeps the original raw RGB values, and converting to a working profile, which does change the values). Unless you’re planning to print the photo just stick with sRGB as a working profile and save the final photo as an 8-bit per channel JPEG. If you decide later you want to print it you can always go back to the archived JPEG 2000 raw file and convert it to a working profile with a higher gamut such as Adobe RGB or ProPhoto and do your post processing again with the final medium in mind. – DNG files saved from VueScan are ONLY useful for input back into VueScan, for example if you want to play with different infrared cleaning options. They should not be used outside of VueScan as they have the inbuilt scanner profile embedded into them, and most applications will automatically apply that profile when you open the DNG file, producing inaccurate colours. – Unfortunately you can’t use GIMP instead of Photoshop, as GIMP doesn’t yet support colour profiles or 16-bit per channel image processing. Thanks again for summarising the workflow in such a concise way. I’m sure it will benefit a lot of people. Thanks Martin! You really should be the one writing this post. I have edited the post to include your notes on Exposure Lock and added a point about Multiple Exposures. Though the Multiple Exposure option has actually worked for me. I also updated the screen shot of the Filter Tab to not include grain reduction. Your extra tips are great! I have never used JPEG 2000. Heard a lot about it when it first was announced, but it hasn’t seemed to catch on as a industry standard. All of my original scans are saved as tiffs, and my working images as PSDs. Again thanks so much for your insights and advice Martin! Hi, because I have a PC I was wondering how I could go about creating an ICC profile with LProf or something similar. Also, do you think I could apply to a 120 format slide film the profile based on a 135 format IT8 target (same emulsion – Provia 100F)? The process is the same on a PC, you’d just use LProf instead of RoughProfiler to create a profile. Both programs use the same backend, Little CMS. As for your second question, yes a 135 target will work with 120, 4×5, and 8×10 versions of the same film – they all share the same emulation. The process I described in my post uses 135 targets, I shoot mainly 120. 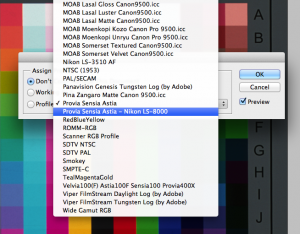 I am using ViueScan to import scanned slides by Nikon LS4000 into Photoshop CS6. I have profiled the scanner using IT8 targets saving each film profile as a separate file. If I identify the path to this profile file in SCANNER ICC PROFILE in VueScan, will the scanner now match the IT8 profile with the film of the scanned slide? Hope this inquiry makes sense! I wish VueScan did a better job of creating profiles, or properly recognizing 3rd party profiles, it would take one step out of the process. Unfortunately VueScan doesn’t do either very well. The profiles that it creates are not all that accurate, and for some reason ignores 3rd party profiles if you point the scanner to the files. Your best bet is still to use VueScan as only a scanning program – which is does a great job of – then switching over to Photoshop to apply your profiles. I’ve started to create actions with specific profiles that I use a lot, that way Photoshop can do all of the work for me. Hope that helps. I followed all your steps closely with Wolf’s velvia 50 target. I have a Plustek Opticfilm 8100 scanner and I tried with exposure lock values from 1.219 (which it filled in automatically) up to 1.999. 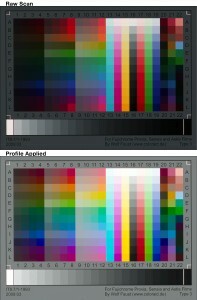 No matter what exposure value I chose I keep on getting RGB 194, 183, 183 for the left most greyscale box in Photoshop. I use the exact same software as you for each step. The only thing I noticed was that at locked exposure 2.0 I get values of 255. Unfortunately I’m not very familiar with the Plustek scanners. Exposure lock is hardware controlled, it maybe that the scanner is not getting the proper data from Vuescan. It’s odd that going from 1.999 to 2.0 gives you the only change in exposure. I did a quick search, do you have the most recent drivers for your Plustek? That would be my only suggestion. I was just checking the VueScan site for an update and it appears like they’ve been having some trouble with Plustek scanners. It doesn’t say what specifically but the newest update fixes bugs with the Plustek 7100i. Your problem with setting exposure lock properly may be a bug with VueScan. I’d send an email to Ed to see if it’s a bug he’s working on. Yeah this must be a bug with VueScan. I tried the above using AgryllCMS to create the profiles. It didn’t make a difference either. I cannot get beyond RGB 194, 183, 183 unless I hit RGB exposure 2.0 in VueScan at which point I am blowing all highlights. I have the latest drivers for my scanner and the latest version of VueScan. Even the latest version doesn’t seem to have a fix for this. I’m questioning the gamma setting. I still have more trial and error to do but if you’re saving the scan in ‘raw’, then this statement from the ‘scanin’ documentation indicates that gamma 1.0 should be used, not 2.2. I’m not sure how that affects the data vs. the patch ‘recognition’ (see scanin doc). This observation came about because I finally got Xrite’s i1Profiler working w/ the target in question and it reported that 5% of the 264 patches were out of gamut on the shadows. If this is not the case (for instance if the input chart has been scanned with linear light or “raw” encoding), then it may enhance the image recognition to provide the approximate gamma encoding of the image. For instance, if linear light encoding (“Raw”) is used, a -G value of 1.0 would be appropriate. I’m glad that you commented here. I wanted to thank-you for tip on Rough Profiler, and let you know you should share your Kodachrome profile here if like – your email address bounced back. You bring up a good question regarding gamma settings. From my discussions with Martin while writing this post, I just assumed that gamma 2.2 was the proper setting. Reading the scanin document, it appears that using gamma 1.0 would be the better setting. I created a Provia profile with gamma 1.0, and it seems to bring out shadow colours a little bit – filling in the low-light gradient. I’d say about 5% difference like your Xrite indicated. It does not appear to affect mid-tones or high-lights much. Take a look at the comparison below. Thanks for your comment. Let’s see if we can figure out what’s going on. Is the ICC profile that you’re generating not being recognized in Mavericks? When placed in the proper folder in your Library, does it show up in your list of profiles in Photoshop? Just want to narrow down the possibilities. If generated properly you shouldn’t need to go into ColorSync. Also, are you using the latest version of Rough Profiler? I’m running the latest version of Mavericks and everything is compatible thus far. this is really fantastic – incredible. Just calibrated my flatbed scanner (only for documents) with this workflow. Awesome! I’ve shot slide film (Fuji Provia 100F and Astia 100) for more than 30 years, using the LS 9000 and Vuescan to digitize my slides, and got perfect results (very close to drum scans). Just recently I’ve switched to negative film (Fuji Pro 400H), and I will get the first development from the lab this week. I’ve made a shot of the Coloraid Target on the first frame of each film to calibrate the film with Vuescan. Now I’m really excited to dig into negative scanning for my work. A big thank you to all people who contributed to this article! yours is the very first serious guide on the subject, compliments and thanks so much! – when you scan the IT8 target, why you choose ProRGB as output space? ProPhoto RGB is very very big, and often pictures taken in smaller color spaces don’t look very well as the risk of posterization is very high. Could you please explain the reasons of your choice? Wouldn’t be better something like AdobeRGB? – in the screenshot of the Color tab I can see there are fields like “slide vendor” and “slide brand”, which obviously you set on “generic” and “color”. The fact these fields appear means that in the input tab you chose “slide film” in the field “media”. Are you sure that Vuescan don’t suppose a generic slide profile when scanning this way? I use to scan my slides using “image” in the field “media” in the input tab, doing so I avoid for sure any action from Vuescan. What do you think about this point? Thanks for your comment and your questions – it’s always good take a look back at what I’ve compiled to see if it can be improved. To answer your ProRGB question, it’s nothing more than a preference for me. I scan everything in ProRGB and edit in ProRGB. I’ve only run into a few problems when saving for online purposes. Printing is fine on any high-end inkjet/giclee printers, and publishers haven’t had any troubles either (though CMYK is a completely different beast). ProRGB has the largest gamut – scanning slide film I want every colour I can get. The Curve Low High settings at .25 and .75 is Vuescan’s default straight curve. Decreasing Low will bring up lowlights, and increasing High will bring down highlights. The Curve settings will affect the raw scan. 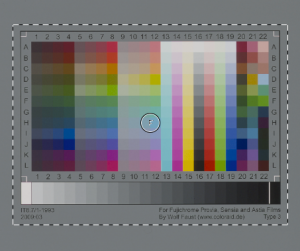 Color Balance and Curve settings are independent of each other. Your last question is good one, the difference between input settings. I’ve never thought about it, the slide film input just made sense. After a bit of research, you are correct that Vuescan does apply a generic profile to the Slide Film input, whereas the Image input Vuescan will not apply it’s generic profile and capture the colors as they are reflected – though all other color setting are available to use. While Vuescan and your scanner will produce the closest colors as it can, it still won’t be as close or consistent as a specific film profile. For me, I want the characteristics of a specific film to appear in my images, and those colors need to be consistent roll to roll. A specific film profile provides me those colors every time. I’m not sure how much the Input setting would affect a Raw format scan. A Raw Tiff scan is capturing the untouched data from the scanner’s sensor without any additional color information or changes, and only a select few exposure adjustments at time of capture (though those adjustments I believe are hardware). This is why opening a Raw Tiff in Photoshop results in a really odd looking image. A profile needs to be applied before the image is properly viewed. If you were scanning jpegs or normal tiffs I’d say the different input settings, color balance settings, and so on, would apply. Hope that answers your questions. Let me know if you have any more. I was just wondering how long Rough profiler should take to do the 1st bit, mine seams to be going forever. I’ve got it now.. the file of the scan was far too big!! Im not sure how I will go about adjusting 1 – 11 after box 0 Surly it would change 0 if i adjust 1 – 11? the blue can be as much as 7 off or as little as 3? the issue I seam to be having is that when I adjust the blue the adjustment dossnt happen in the final scan!? do I need to turn Exposure lock off? or something! Thanks for posting your comments. I understand your frustration trying to get the profile correct. When evaluating your IT8 chart, there will be variances as you move your curser around each box. As long as the overall RGB values stay close together you should be fine (+/- 10 points is an acceptable variant for most). That should help you get closer to a balanced IT8 chart scan. Let me know if you have any other questions. I’ve just finished (I think) profiling my scanner, thanks to your tutorial. It was immensely helpful. Thank you. I thought I’d share a couple things learned from bumps along the way. I used Coloraid (Wolf Faust) target type F3 (as listed here: http://www.targets.coloraid.de), and the scanner is a Nikon Coolscan V ED (aka LS-50). First, a snag to watch out for: it’s possible for Rough Profiler (or more precisely, the Argyll “scanin” program invoked by Rough Profiler when you click “Create Ti3”) to fail to correctly identify the locations of the samples with your scan of the target. Sometimes it will tell you it’s failed, and no Ti3 will be created. Other times, though, the pattern recognition will fail but the software won’t realize it, and so Rough Profiler will go ahead and create a Ti3, but the Ti3 will be messed up, and of course any ICC generated from the Ti3 will be messed up, too. 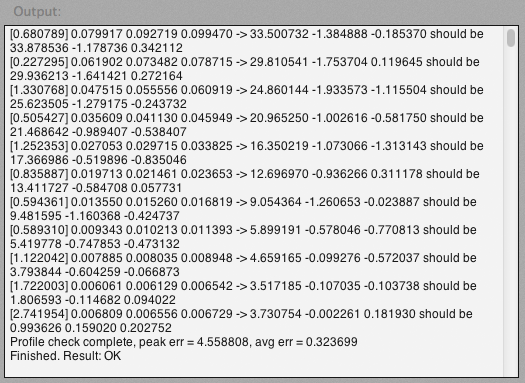 You can catch this error early on, though, if you look at Rough Profiler’s preview window after creating the Ti3. It will show your scan of the target with an overlay of X-filled squares and rectangles that indicate where the software thinks the target’s samples are. When it’s off, it’s not a subtle, slight mis-registration; rather it will be very obviously off, at least from my experience. I wound up with the overlay squished to one side or other of the scan, such that half of the samples were completely uncovered by the overlay. I had been scanning at 2000 dpi, but switched to 500 after reading the above. This did not solve the problem for me, though it does sound like the problem may sometimes be caused by feeding too-high resolution scans to scanin via Rough Profiler, unless Rough Profiler is doing some behind-the-scenes downsampling we don’t know about, to meet the <=600 dpi guideline when passing the scan to Argyll's scanin. Since we don't know whether Rough Profiler is downsampling high-res scans, it's probably prudent just to scan at lower resolution to begin with. What did ultimately fix the problem for me was to simply take the slide out and rotate it 180 degrees (keeping the emulsion side down), and then re-insert it into the scanner. The slide then sat slightly differently within the scanner (even without the rotation it would have sat slightly differently on re-insertion, and that may have been enough), and scanin's pattern recognition was then able to succeed. The Argyll documentation quoted above notes that scanin might have difficulty if any of the chart's borders are missing in the scan, and my particular Coloraid target clips the chart's top border into the edge of the slide mount, so that may be why the pattern recognition is so finicky with my target, and why rotating and re-inserting the slide produced a fix. At the least, these manipulations presented a different pattern to scanin, and with a borderline-recognizable pattern that may have been enough; they may also have resulted in the inclusion of a few more pixels of the chart's clipped top edge. 3) I tried two approaches to scanner exposure for profiling the target. The first, essentially as described in your tutorial: adjust scanner exposure until the white patch in the raw scan reads in the 240s when RGB-sampled by the eyedropper in PS (again, the assignment of the profile makes no difference to these measurements), and then build a profile from this scan. In my case an RGB exposure of 1.5 produced white patch RGB numbers in the 240s. The second method was to simply let the scanner autoexpose (and then lock and note this exposure for future use with the resulting profile) and then generate the profile from the resulting scan. Vuescan's autoexposure selected an RGB exposure of 1.381. Comparing the two scans in photoshop, each with their respective profiles, I found that although the white patches look and sample very differently between the two scans before assigning their profiles–and though the autoexposed scan is darker on the whole–nevertheless the scans are nearly indistinguishable once their profiles are assigned and they are converted from those profiles to AdobeRGB. If anything, the autoexposed scan seems to have slightly less compressed shadows, but again, they are nearly identical. This was surprising because the white patch RGBs of the autoexposed scan read in the 160s before profile assignment and conversion (after assignment, the patch brightens but the color numbers stay the same; after conversion, the color numbers reach 254, identical to the manual-exposure scan, whose white patch color numbers before profile conversion read in the 240s). I'm not sure, then, whether boosting the exposure manually is necessary or whether it might even prove to be self-sabotaging in some subtle way, down the road, in full-res scans of normal photographs. I'm keeping both profiles and will try both exposures, with their matching profiles, on the slides I scan, to see what differences there are or aren't. Thanks so much James! Once again someone from the wider film scanning community has added immense value! I think you’re bang-on regarding assigning AND converting to a working colorspace before assessing a profile. It completely decompresses shadow detail – it’s not your monitor. Shadows has been the one snag in the process I’ve not been able to figure out myself. Up till now, I’ve thought it was just a characteristic of my scanner. I’ve made some workarounds in PS, but this is great! I’m going to add it to the post. It’s very interesting that you discovered that the RGB values don’t change before and after assigning a profile. I’m assuming it is because a change in gamma doesn’t affect the colors themselves, just the monitor/device the images are being viewed on. Your third point about auto-exposure vs manual exposure intrigues me. Especially because after you assigned and converted your image the RGB values were identical between the two. I’m wondering if it has something to do with out of gamut colors in AdobeRGB. Either way, it seems like you could reach virtually the same result. Thanks again James! I love it when people experiment, research, and then report back here. Hi, Great post. I have one comment regarding gamma setting. 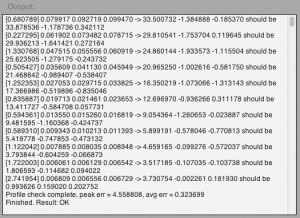 You really should use the same gamma setting when sanning the IT8 target, and when scanning slides. It can be any gamma, but must be the same. For instance I’ve discovered that my Epson V750 gives me best shadow details when the gamma is set to 3.0, The color management workflow will fix the gamma later on when image is converted from scanner color space into the working color space. I do not use VueScan, but I’m pretty sure that the “Output color space” option can’t be set to ProPhoto. I understand that this option means that the image is converted from scanner color space into the ProPhoto and then exported to disk. This is an extra step and is not necessary. It should be avoided, though, since every color transfromation will loose a quality a bit. You may not see this when scanning in 16-bits. somehow i cannot download Rough Profiler for Windows , anyone experienced the same problems with the link? Great that you have done this write-up! I have done everything the way you say, using the latest version of Rough Profiler (for windows) and I know how to install icc profiles in WIndows! No matter what setting I put for RGB in “lock exposure” (e.g 0.8 to 1.5) I always get the RGB value of 255 for the white box in the left hand side of the white-grey-black strip. Any ideas of what I’m doing wrong? That is the right square right? Otherwise, if anyone has a profile for Velvia50 on an epson V700 I would be grateful if they could share it! Hi! This is one of the best posts I’ve found in my search for better scans. Thanks! I’m new to VueScan so I’ll will soon try the color profiling tips here. In my case I have a profile for the scanner but as written it is not taken into account in my raw scans (since not created through VueScan from what I understood). What I’ve done until now (Silverfast “raw” + scanner profile) is simply creating PS curves for the specific film types (I mainly shoot negative color). Since I don’t have IT8-slides for my film types I use the “high-mid-shadow -curve settings” in PS to get a fair starting point. I’ve tried with grey cards but found it too light dependent so instead I use the film base for white and a “super-overexposed” image as black (before inverting). Only one frame per film type needs to be sacrificed to save the curve preset giving a (very) flat image containing (depending on the scanner) the whole dynamic range of the film without the color cast of the film itself. The midpoint is not used but with this method the image needs further corrections anyway. Since the Nikon 9000ED has a Kodachrome profile built in, is there a way to extract this profile from their scanner software, and use it as a separate file with VueScan or ColorPerfect? I am asking this since Kodachrome IT8 slides are now costing $500 to $700. I’m currently researching before investing in a slide scanner and software for scanning my collection of color slides. The scanner I have in mind has a Dmax of 3.6, and I was expecting to use multiexposure to get the full dynamic range of the slides. However, your post stresses the necessity to use locked exposure during profiling and scanning. Do you have any thoughts on how the multiexposure option can be used in combination with proper profiling? Do you think is possible to use vuescan to scan in log profile as cineon? I was reading this about the cineon file format: “The data is stored in log format, directly corresponding to density of the original negative. Since the scanned material is likely a negative, the data can be said to be gamma with log encoding”. @Michael That’s a really good question. Unfortunately one that I cannot answer. Wolf Faust doesn’t even have any Kodachrome targets anymore. Hopefully someone else here can help you out. @Thomas For creating the ICC profile you’d want to lock the exposure – this will also creates more consistent scans. But you can definitely use multiple exposures to try and get more dynamic range. Some scanners will do multiple passes at different exposures to pull more dynamic range. If you are using an HDR method in post, I’d suggest applying the profile to each file first then merging them. Slide film has very little latitude after it’s been exposed, you may not be able to pull much out if you are trying to correct a bad exposure. @Larry I’m not very familiar with the cineon file format. What I do know is that Vuescan’s raw scans are linear, and you are able to save them as tif or dng files. I’m not sure if that help you at all. Give it a try, you’d probably know fairly quickly if it works or not. Yes. Multiple exposure does not modify the color values. You want the pure colors for a profile. It’s calculated on the measured basis of the target and your test scan. Then you have to apply this ‘deviation’ with Vuescan to your scan and the output file with i.e. a ProPhoto or ECI RGB V2/4 will be perfect. Multiple exposure only ‘lifts’ the shadow areas, nothing else. With slide film there isn’t too much leverage anyway, and with color negatives you don’t need this ‘lift’ (**if** you expose to the shadow areas correctly). The Rough Profiler is better than the built-in profiler in Vuescan, no doubt. I’ve tried both for slides and negatives. Even though the *.icc files for negative film look weird in Color Sync – don’t panic. It’s just the correction for the film colors, your output will fit into the ProPhoto or ECI RGB icc. Thanks, Ian and tds, for your comments. So, when the choice of exposure value does not affect the scanned colors, the only reason for locking the exposure, is to make sure that the scan of the profiling target does not saturate in the whites. And when Ians guide reccomend to subsequently scan slides with the same locked exposure value, it is only because we now know that any higher exposure value would result in saturation. In that case, as per the comment of tds, it should be feasible to attempt multiexposure in those cases where I feel that shadow detail is missing, but still applying the same profile created with the locked exposure. Actually it is different. Vuescan exposes slides on the black of the film black, and negatives to the white on the film which is black after inverting the colors. The white is calculated by the setting ‘White Balance’ or ‘Auto Levels’ (at least with a Nikon LS 9000). Took me a while to understand this . If you don’t want to produce calibration targets, the auto exposure will be fine. If you think your slide needs more detail in the shadow areas, use multiple exposure. However, always remember that a critical and perfect measurement will save you a lot of hassle and time. 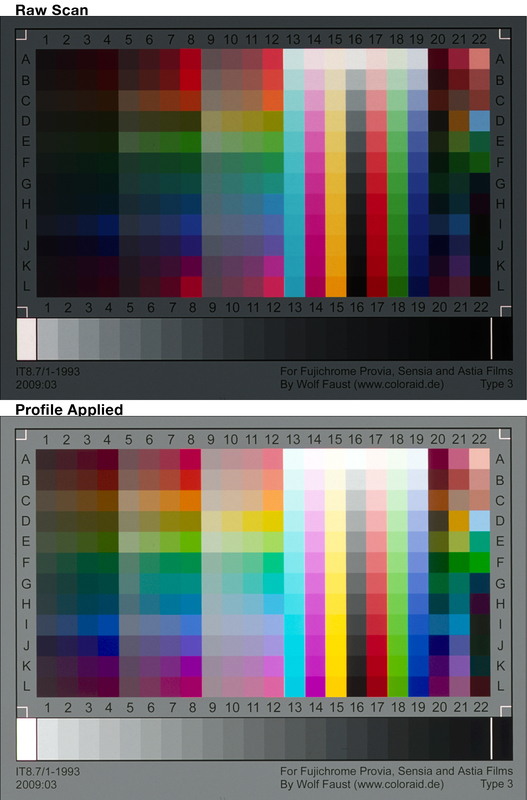 In my experience, on the advice of Wolf Faust and after much trial and error, it seems to be true that certain colour profiling software (such as Rough Profiler, or CoCa for Windows in my case) can produce a better colour profile if given an IT8 target image which has had its gamma ‘normalised’. With respect to VueScan, this means a scan output to a *non-raw* TIF, with VueScan’s ‘Brightness’ and ‘Curve’ settings left at their defaults; and thereafter using a gamma value of 2.2 in the profiling software. I have found it best to set VueScan’s output colour space of this scan [and all subsequent scans] to ‘Device RGB’, because it would appear that the resultant colour profile has fewer / less severe corrections to make to the colour numbers. I used LProf’s ‘Profile Checker’ to reach this conclusion. Your own mileage may vary. Finally, having created my scanners’ colour profiles and begun assigning them to scans opened in photoshop, I have found that converting their colour space to ProPhoto or Adobe RGB too soon can result in catastrophic clipping. I would certainly suggest watching the image histogram during the conversion..
Hi, I have the latest version of the professional Vuescan, but I can not find the exposure lock? And it seems that it is a pretty important step? I have a box called “lock image color”, but none of the other options that are shown in your screenshot are showing. Where do you find this exposure lock? Mille: If you set the Input:Mode to Transparency this option should be available. Ian: Thanks VERY much for this really excellent post! With your help and the help of several of the comments I’m finally starting to figure out how to properly use VueScan! Just a couple of my own comments – I was initially confused about where the resulting profile is finally applied. It was not until a careful reading of the comments that I understood that the profile is applied in PhotoShop (or elsewhere) and not in VueScan. You allude to this in the main post but it was not clear, at least to me. Also, for the folks using Linux the program darktable (www.darktable.org/) handles both 16 bit files and will apply an input profile. I do most of my development in darktable then export an 8 bit file to Gimp. Again, thanks for this great post. @ Graham. I had the same problem. I always reched the 255 RGB. After some hours, i hope I found the solution. I used roughprofiler 2 on Windows which gavce me an icm file. When you do “convert to profile, use imicrosoft icm in the “engine” window and in “intent” window use relative colorimetric or perceptual. Dont know if it really works out , but it doesnt give me the constant clipping. Hi, congratulations on this wonderful piece, to you and to all the people that contributed to it. Anyways, I downloaded the ICC profiles that previous commenter Marco contributed, since I have the same scanner, and I’m not sure what to do with them. Should I follow “Step 4” with a scan and then go to ColorNeg? For example, I take this one scan. I open it in photoshop, assign Ektachrome (just as a test, as it comes frome some Kodak Gold film) and then I convert it to Adobe 1998. 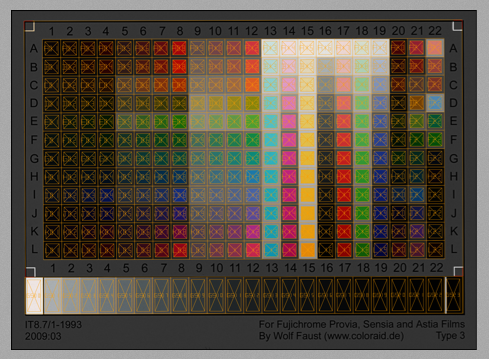 Then I open ColorNeg and fiddle a little but the results are quite disappointing. Hi All: Thanks so much for being an amazing community and helping each other out. My apologies for being MIA as of late. Would it be of value if I created a forum and/or a dedicated page for all-things scanning? I’ve been thinking about it for a while and thought I’d put it out there to see if there was any interest. @Sean After you assign the profile in Photoshop, and convert it to Adobe 1998, does the image appear to look right. I’m not familiar with ColorNeg, but took a quick look at their website. I’m not sure if this makes a difference, but it appears like they have 2 versions – ColorNeg and ColorPos. 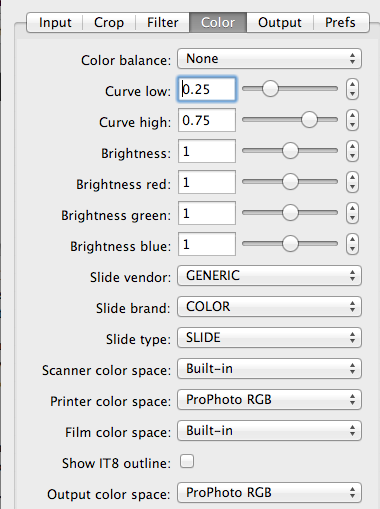 Have you tried editing your Ektachrome slide in ColorPos as it is specifically for slides. You are more than welcome to upload a sample image to see if we can get to the bottom of your problem. Also, my apologies if your comment was not visible. I had approved it on my phone when you wrote it, but it seemed to not show up. I believe I didn’t explain myself correctly, sorry (and even if I did, probably I’m mixing things up here): What I have scanned are color negatives, not slides. I’ve been assuming/guessing (maybe misunderstanding) that profiling a scanner that can scan both negatives and slides would come down to the same procedure and technique, since you are profiling the hardware (sensor, lamp) through its utter representation, the RAW output, which should stand the same output characteristics for both negative and slide scans. Indeed, ColorPos is intended for slides. I realize that the Wolf Faust targets are slides essentially (if I’m not wrong) and that’s where I got confused about profiling my scanner. Which, by the way, it’s not a Reflecta RPS 7200 like Marco’s but a Reflecta Pro Scan 7200. Sound very similar but they are not the same. It’s a Polaroid Color HD 4 100. All of his 4 postings about scanning negatives are quiet eye opening, at least for me. I use this method together with colorperfect. Especially the negative conversions done by colorperfect are often very good, better than anything I´m able to do with my photoshop skills. Key feature is to use dual gamma and linear input in colorperfect and apply the modified scanner profile to the linear scanned negative image before invoke colorperfect. This is described in his postings.